Etana’s misguided foray into activist punditry seems destined to be career-altering, much like that of the Dixie Chicks, more than 13 years ago, when that group’s comment regarding President George W. Bush altered their career trajectory. In time, the Dixie Chick got back on course, having won thirteen Grammy awards since then, including five of them just four years after the comment. Time will tell the outcome for Etana. In Etana’s case however, besides being polarized, the punditry was woefully uninformed, such that it has created a credibility crisis for the artist, something the Dixie Chicks did not have to contend with. Many are suggesting the PR wand as the fix but it is not that simple. In this case, the same knife that stick goat stick sheep and whether it’s the good the bad or the ugly; the etanaism that slew Etana is also impacting detractors as well as sympathizers. Just what is etanaism? It is speech somewhat like malapropism, except that it is shocking, not merely humorous and dangerous, not simply nonsensical. Etana has explained that at the foundation of her misguided foray was her uninformed assessment and utterances, and whether deliberate or unintended, the result is now a lot of uninformed chatter, including some ongoing from Etana herself. A prime example of the ugly can be seen in the interview itself. According to Etana, she spent an extended period of time providing the statements which resulted in the infamous seven minute segment. She complains that some of the segment does not reflect the context in which she expressed it, the prime example being the often repeated “my music has nothing to do with what I believe” statement. She contends this was said in reference to what she believes about Donald Trump and not what she believes in general as many have understood it. “Folks, I can’t make this stuff up” says Patria-Kaye Evans in The Gleaner, but apparently, an editor can stringing clips together in a manner that creates a false impression. According to Evans, “he can only carry the clips that are punchy and make for interesting TV… the fact is you said those things, sugar.” Notwithstanding that Etana indeed said those things, ethical journalism requires clips that are “punchy and make for interesting TV”, should respect the context in which they were made and if as Etana suggests, that was not the case, then this was pretty ugly. As for the bad, no matter how many times or how many ways Etana acknowledges her poor judgment and the folly of some of her statements, and apologize for them, some minds are unalterably closed, (another form of etanaism). What best fits their purpose is a narrative which says Etana’s life work was all a farce and the words strung together by an editor is the truer reflection of who she is, and I will therefore divest myself of her music and never attend another Etana concert. Such is the nature of bad-mind and when active, reflects etanaism by choice. Then, there is the good, Etana’s last hope for redemption. Many sympathizers quickly state the obvious: hire a good publicist; give no more interviews etc. While well intentioned, many are unwittingly engaging in etanaism, operating with limited knowledge of the artist’s experience and circumstances and therefore, like Etana, is relying on incomplete information in arriving at their conclusions and recommendations. For example, how many have an appreciation for the role of a publicist, the discipline required to benefit from one or the artist’s capacity to hire a worthwhile one? There are so many lessons in this situation that CPR will use it as a case study in our Workshop for Artist and Repertory Development. The perils of the media must be clearly understood and no, not all PR is good PR. The music business is far more than the music; professionalism and so much more have their merits. For many, Etana is a leading lady of reggae music and while her outcome can be like that of the Dixie Chicks and her career continues to grow positively, she must be willing to learn from the experience. Experience teaches wisdom and others in the industry should pay close attention to the many lessons in the good, the bad and the ugly of this unfortunate situation. In a recent story in the Weekend Star, Usain Bolt, the world’s fastest person ever, and the first man to hold both the 100 meters and 200 meters world records, a recipient of the Order of Jamaica national honor, was described as a “horrible neighbor” and the story continues to elicit comments from across the spectrum. Neighbors, journalists, comedians, entertainers, professors, civic leaders and many others continue to offer analyses and opinions on social media, broadcast media and elsewhere while Bolt remains silent on the matter. The matter is seen as being so significant that, evoking collective guilt, one commentator has suggested that the critique of Bolt amounts to a “dis” for Jamaica. Yet, unlike any challenge Bolt has ever faced on the track, this time, for Bolt to win, Jamaica must loose. Few have drilled down on the salient issue and many of the ancillary matters arising out of the report, choosing instead to focus on eccentricity of personalities and mangled utterances. At the core of the matter is neighbor to neighbor relations and by extension, a 1997 Noise Abatement Act which governs their nexus with the authorities. Jamaica’s maneuvers with respect to long sought after amendments to the Act, something which has plagued the music and entertainment sector for decades and remains an issue, begs for insightful public policy considerations. From all appearances, in Kingston the focus seems to be on confining the disturbance of neighbors to communities like Rae Town, Woodford Park and others located below Halfway Tree, but this Norbrook incident casts a new light on the issue and raises the question of whether the authorities can continue to drag their feet and turn a blind eye to making and enforcing meaningful public policy to address this matter. For Jamaica to win, not only will a meaningful noise abatement policy be required, but the police brass will have to address the reported glibness with which an officer responded to an inquiry from the media about noise complaints in the matter. So far, we have not seen that, nor have we heard word of any further query by the media to law enforcement, even as the family of Mario Deans continues to mourn his death at the hands of police. Furthermore, the consequences for Vision 2030, the goal of making Jamaica, "the place of choice to live, work, raise families and do business” by the year 2030 seem dire, as we see a celebrated dancehall entertainer reel off expletives in defense of the right to take downtown uptown, warts and all, in response to the complainant’s zeal to repatriate Bolt to from whence he came. The report in the Weekend Star has served to highlight a centuries old problem of inequality and injustice in Jamaica, as Jamaicans from around the world make their way to the 6th biennial Diaspora Conference in Montego Bay, set to begin in mid June with two days of religious observances. The Rastafari Movement, which started out as a resolute anti-establishment initiative in pursuit of equal rights and justice has now in many ways been co-opted, and we now see a locks wearing minister of government championing the downtown entertainment zones where one can “shell down” Kingston with unbridled noisemaking; and the struggle to achieve the “Out of Many One People” ideal flails with no sight of an abatement in inequality, Vision 2030 notwithstanding. I invite your thoughts and comments in the comment section below. Carlyle McKetty is an urban planner with a specialization in community economic development and president and co-founder of Coalition to Preserve Reggae Music (CPR). He is also host of Real Talk and co-host of Social Living on CPRLive, CPR’s internet broadcast platform. 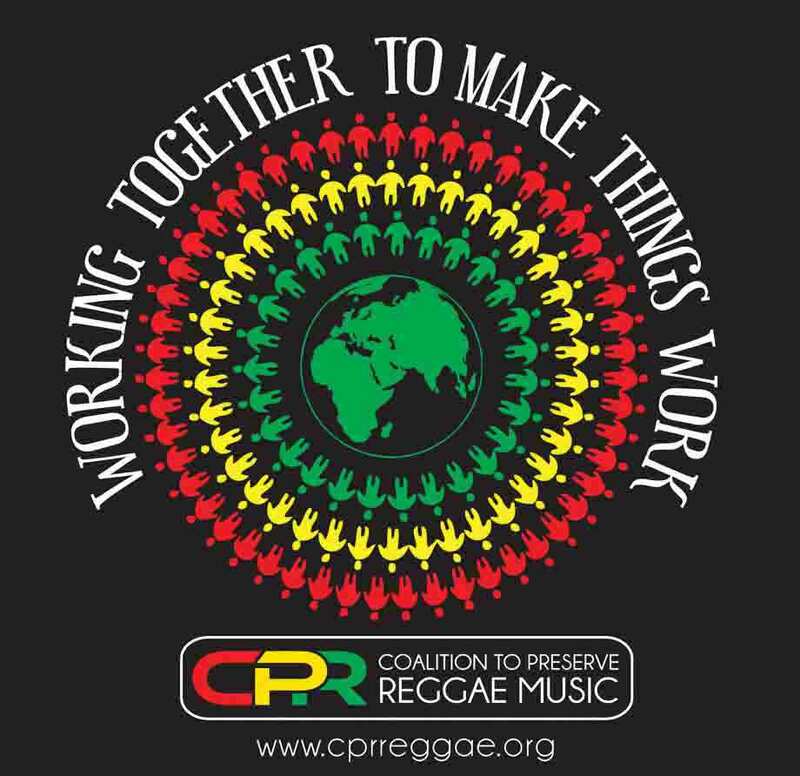 Membership in CPR is open to any reggae lover wishing to support CPR's mission of raising the bar in the creation, development, promotion and presentation of reggae music. Members make a minimum financial commitment of $50.00 to help defray our overhead and may also volunteer in various capacities. • Free subscription to CPR’s newsletter. • Free admission to CPR forums. • Unlimited access to the CPR website. • Member discounts on advance ticket purchases to ticketed CPR events. • Member discounts in the CPR online store. • Member discounts on educational programs. • Invitations to exclusive member events and programs. • Priority service at CPR events. General Membership: Reggae lovers who make a basic donation of $50.00 are considered general members of CPR. General members are requested to also donate in-kind services and are encouragd to consider becoming Sustaining members. Membership Premiums: CPR members who enlist new members of volunteer their services to the organization earn rewards (Premium Points) in appreciation of their contribution. Premium Points may be applied to offsetting the cost of membership, events or items in the CPR Store on the CPR website. Membership Campaign: In June of each year, CPR launches a months long membership campaign, announcing special rewards, just for becoming a member or renewing a membership. See Join US for current premiums. We are open to membership year-round members can earn member premiums for referral at any time. At CPR, we’re working together to make things work and invite you to get involved.